Nehru’s stamp upon Indian science can be seen across the length and breadth of India in the form of dozens of scientific institutes and universities that owe to him. India is probably the world’s only country whose constitution explicitly declares commitment to the “scientific temper” — a quintessential Nehruvian notion formulated during his years in prison. Briefly: only reason and science, not holy scriptures, provide us reliable knowledge of the physical world. I was able to see the huge difference that Nehru had made to his country while on a speaking tour in 2005 before audiences in about 40 Indian schools, colleges, and universities in seven cities. Without Nehru there could never have been the huge and palpable mass enthusiasm for science. This was manifested in the many science museums within a single city, and countless scientific societies working to spread understanding of basic science among ordinary Indians. I do not know how much of this has changed under Hindutva. But most definitely not even a fraction of such enthusiasm was visible then, or can be seen now, in Pakistan. All this could now be changing. Army chief Gen Bipin Rawat, known for his bellicosity, has broken with the army’s tradition by freely commenting on many foreign policy matters — the Rohingya refugee problem, how India should deal with the Doklam crisis with China, and the need to call “Pakistan’s nuclear bluff”. Time will tell whether Rawat is an exception or, instead, the new rule characterising an interventionist army. Ominously for Indian democracy, criticising the army chief is being described by its media as anti-national. While I always admire your articles and this too I will not oppose but you have not understood Modi and RSS well. While they want to pride in past glory,, there is no doubt about their support to modern science. If you meet only leftists then you are bound to think otherwise. Leftists never showed pride about Indias early history. It is one thing to take pride of it's history and culture but few Hindu nationalist forces are certainly crossing the red line, which will divert the collective Indian national conscience. A brilliant write-up. I fully agree that the greatest contribution of Nehru was push for science and technology. In addition to what author mentioned, the idea if IITs was Nehru's. Unfortunately there were certain actions taken by him still adversely affect India. Another excellent write-up from Dr Hoodbhoy. Sad to see BJP dragging India back from the secular path. Makes one wonder if Jinnah had lived a few more years, might have kept a lid on our generals too, hence strengthening the institutions and we could have completely avoid Zia years and radicalization of our society? All religions and minorities would have enjoyed same freedom? We'd not know answer to this question. But that's history. We are 10 years straight into a democratic rule and signs are there that there is improvement. We will always be proud of our army as long as they are sub ordinate to a civilian govt and play it's proper role. Dr Hoodbhoy you usually describe our situation very precisely, but I also wish and pardon my ignorance if you already have, write articles on policy decisions and what, even if minor steps could be taken to make some vital changes. Our young generation is eager to change a lot of things that have gone wrong in the past and is already making a difference. A few common citizens can make big changes having a ripple effect across coming generations. Please keep writing. Quite simply the best commentator in South Asia. More power to you Pervez ji. Great article balanced and informative, but Indian family will not like it, atleast the BJP/RSS commenters many of them comment here, as Dr PHB talked negative about RSS/BJP goons, but glad that he also talked and criticize and talked negative about Pakistani education system too. Glad to see criticism about Pakistan only than we can become better once we see the bad in us. Thank you Nehru RIP for pushing Indian towards science as without it we can what North India and Pakistan as a good example. I love Indian scientists just like what the great Pakistani scientist Dr Abdus Salam said. "Scientific thought and its creation is the common and shared heritage of mankind." Sir u r right, but u should have go beyond Hindi heartland to see secularism. I supported modi in last election and will support in coming election. Yes modi is on verge of losing scientific temper. One modi cannot erase scientific DNA of Hindu. The main failure of Nehru legacy is that he could not relate economy with intelligencia, so doomed. Midi's success based on basic knowledge of common men economy. Not on Hinduvata, it is a vote bank politics, sir we will not allow RSS to hijack our tradition. You should follow both type of media to get a non political balance view. Waiting for ur next article. Respect from india sir. Even we indians not giving due respect to Nehru . Every ruler make mistakes. But how much their over all actions improve day to day life of people is important. Nehru laid a great platform for india. . That can't be eradicated easily. So india would stay in his path of improvement. Good article. I hope Indian people will make sure we do not regress. The prof.has hit the nail on the spot. Nehru was a colossus, an intellectual par excellence, a true democrat, secular to a fault, and a real visionary. Modi and his ilk can't even hold a candle to the man. Their hatred stems from the fact that, he destroyed their demented and warped 'nation building' plans and molded India according to his own ideals. It is true that today, india resembles Pakistan in many ways but, Nehrus ethos is ingrained in its constitution and in the silent majority who still are secular. We are a nation with scientific temper and we shall overcome this assault from the nutters of the far right. Wonderful portrait of Nehruism.His visionary thinking has grown our software sector to share the top in the world. Only one Indian software company TCS has market capitalization of $100Billion equal to whole of Pakistan Stock Exchange. Sir I respect your views and empathize with your concerns. I respect and admire you as a human being. I can assure you that core ethos of India is different. We will never forget the contribution of Nehru and Gandhi. There are fringe elements who misguide and misrepresent in fit of political myopia. Even these fringe elements know that they are unsuccessfully misguiding people. I have great respect for Sh Pervez Hoodbhoy.His thoughts are very progressive and independent of any baggage. But i would like to take the opportunity to mention that," Love for scientific studies in India is not because of nehru but it is in the DNA of all Indian taking history back to Vedas,which are still considered as foundations of scientific research.Even scientists like Einstein and Hawkings have recognised it. Please forward my mail to pervez Saab. Lot of love and respect for you. Ustad-par-excellence Hoodbhoy, as usual, is on the money. The thrashing of the Gandhi-Nehru legacy that once were the cornerstone of "Indianess" continues apace by the axis of evil in Hindustan -- Modi, the BJP and RSS. It is straight out of the Gobels manual of mass re-education. Very well articulated. I sincerely pray that many Indians would realize what they are so callously throwing away is what is of value -- perhaps THE most valuable thing they have! I have io words to describe this brilliant article from Pervez Sahib. That is a common thought for most liberals but I still think that India is a big country and no single political thought or agenda can run this country. There are multiple thoughts and identities and I do think that India's scientific temper would have continued maybe a little slower in absence of Nehru, but would have continued nonetheless. Modi, Trump, Putin, Erdogan, Abe, Duterte - all cut from the same cloth are bent upon dragging thier nations and humanity backwards. Damage will be done but these nations will however recover as they have memories of better leaders to call upon. I have lesser faith in the ability of religious societies to adopt rational modes of thinking. I have great admiration for the author. However to say that everything that has happened in science and technology in modern India is due to Nehru is far fetched. The comments by some politicians while cringeworthy, does not reflect policy. In fact funding for scientific research has increased under the current government. While Modi was mocked for claiming that plastic surgery was present in ancient India, it is a fact that the first plastic surgery was performed in ancient India by Sushrutha and Charaka. This was transmitted to the West by Arab traders. I welcome anyone to check this on independent sites. As for deletion of Nehru from textbooks, the largely uninterrupted Congress regime meant that only Congress leaders, particularly the Nehru family got any space in books. Please do not judge a book by its cover. Although I admire this article and writer, but this article misses a lot of things. Most of you don't know that nalanda university existed in ancient india and worked for 800 years. At that time also we had scientific research in medicine, astrology , mathematics and science. At that time there was 12000 teachers and lakhs of scholars studying there from all over the world. The library contained so much research that it kept burning for 6 months after bakhtiyar khilji destroyed it as it was against islamic teachings. All I am saying is india had scientific temple from start but due to invasions we lost it. Nehru is reverred but his family rule and naming every thing after Nehru, Indira Raji and to some extent Sanjay is hated. So brief, so accurate an analysis, and prophesy of things to come. We have a lot of reasons to hate nehru, we were offered permanent seat in security council, but nehru offered it to china as he said hindi chini bhai bhai. He decreased military budge due to which we lost war with china. The same china he helped get unsc seat. it takes valour to call spade a spade! Sardar patel was more popular in india and should have been made pm but nehru snatched the seat. He was power Hungary. Infact his most family is still aiming for dynasty politics. Very good article on an important and difficult subject-only a few could be so clear on multiple topics within one article-science, religion, politics, national institutions and self-interest. Simply brilliant! Thank you sir for the timely reminder,there is no doubt in anybodys mind (a large majority) that Nehru with all his follies had also done some really good things,you have elicited 2/3 above which we are very important,then he is largely responsible for setting up heavy industries in India,we owe our independent foreign policy to that man. The selection of Mr Modi happened because we were tired of the corrupt congress,when we can bring down congress to 44 we can surely do the same with BJP. Salute the learned professor for nailing it spot on. I won't be surprised if some self-declared nationalists disagree with him "on just this topic alone". Alas, but truth is truth. One can't pick and choose truth as per one's convenience. As usual an excellent analyses Sir. The legacy of Nehru will not disappear so easily. In spite of the fierce campaign to demonize Nehru still people believe that he has contributed a lot for Indian democracy. His 5 years plan, promotion of public center enterprises have made India self reliant to a large extent. The main issue here is that no other person apart from the Nehru & Gandi family are recognized for their contribution to the country. Nehru was a leader - Modi is a mis-manager. There must be some truth to this story: Nehru visited major US tech universities in 1947-48, and when asked how the US could help, he said that he wanted institutions like MIT & Caltech. When told that it took over 200 years - he said ‘then i cannot waste a single day’. THAT was the seed of the IIT system. Very nicely done. But we Indians are working hard to make our nation proud. We will sail through ! What distinguishes India from the rest of Third World Nations, is the secularism which has awfully been lying on ventilator under P.M Modi regime. .
Sir, your analysis are always thoughtful, relevant and neutral. Wishes from across the border. I voted for BJP last election, attended RSS shakha as a school kid for morning excercises, yoga. But I am an admirer of Nehru and all leaders who did good for the nation. As I study Five year plans, Industrial policies and other government efforts from 1947 I am convinced that whatever was done in those days was largely keeping in mind the realities of those times. A BJP voter is not always a fanatic. Many of us voted as we were tired of the scams, the silence of the PM, the near absence of India in world affairs. People criticise the bifurcation of states on linguistic basis. I studied it and got to know that given the options available and the reality of so many princely kingdoms and clans linguistic was the only option for a nation which was already divided once on basis of religion. There have been some blatant mistakes he committed, but then many other leaders such as VP Singh also initiated the Caste division and reservation issue. Nehru built the foundations of a modern India. I am an Indian HINDU and I fully agree with Prof Hoodbhoy. Hindu nationalists are a curse to my beloved motherland. An excellent analysis. We in India take too many things as granted, little realizing that things could very well have been different - and worse - had there been just a few changes in the dramatis personae at the time of our Independence. Well, Nehru did have his few merits. But to credit, the love of science in India solely to Nehru is reading too much into the phenomenon. Some of the finest scientific institutes in India such as the Indian Institute of Science (Inception: 1909) and Raman Research Institute were built under the patronage of the progressive Mysore Kings. Much of Srinivasa Ramanujan's pathbreaking work in mathematics came long before Indian independence. J.C. Bose pioneered his work in micro-optics and radio waves during the rule of British. With the exception of ISRO and DRDO to an extent, most scientific institutions established in post-independent India have been a burden on taxpayer's money, failing to deliver the objectives they were supposed to achieve. Dr. Hoodbhoy - very well articulated. Although it's tough to get mythology to replace Science/Logic/Reasoning skills in jobs driven by tech in India (There is huge $s involved ). Brilliant article. As Indians, we take pride in our diversity and the attempt of BJP government to mix religion with science would never succeed. I have huge respect for you and your writing is 99% factual. But there is 1% space for doubt regarding ancestry by many accounts. Secondly there is reformist movement in India well 50% years before the Nehru was born. Third who says power greedy men are unscientifically tilted? Forth majority Hindus trust that Gandhi and Nehru left by nature docile Hindus to deal with aggressive Muslims for generations to come. As usual an excellent article by the author.But just wanted to mention that the social situation in india after modi is not different from under congress regime.Its just that the opposition parties fearing loss of relevance due to the surge of a development centric modi who highlight each and every incident.India is a country of 1.3 billion people and even if 0.1% people are doing some activities against secular nature of india..It is lakhs in numbers!! Anyways modi is here to stay till next term and will rule till 2024. Very well written as always. India really needs to take stock of the direction it is headed in. Thanks for showing the mirror, we must know what to wash if the face in the mirror looks dirty. ''instead of teaching actual mathematics there would be Vedic mathematics. '' For an otherwise excellent article, I cannot accept that vedic maths is useless. I am not a mathematician, but it puzzles me how hundreds of years ago without calculator, people used to find the cube root of a large number. Even the thickest of the thick students, can solve simultaneous equations using vedic maths. It is refreshing to see that a person who was once disliked in Pakistan is now being liked. I respect Dr.Hoodbhoy's opinions. Some of the negative opinion about Mr.Nehru is coming from an impatient India. If Mr.Modi can bring electricity to 18,000 villages and build access to toilets to vast majority of household in 5 years, why was this not prioritized in the last 70 years? The Nehru family has also arrogated the freedom struggle so much so that not a single village exists in India without a Nehru or Indira Gandhi statue. This is probably the pendulum swinging the other way for once. But I agree with Dr.Hoodbhoy that there is a risk of this overshooting the other way. History needs to be fair to our leaders. After all, we can't forget the good and bad lessons from history. India in its DNA had scientific culture for long time inspite of dark shadows created by various invaders. Nehru simply identified. The idea that that folks in the right are out to destroy scientific culture is wrong. Right wants the world to recognize people like Aryabhata, Brahmagupta, Mahāvīra, Bhaskara II, Madhavathe and there contribution. The "Narrative" that there was native intelligence that existed well before any of this invaders came in to India does not fit the left discourse that was force fed to us. If you need to look at some of the finest astronomical instrument created as late as 1700 AD look for Jantar Mantar in Jaipur created by Raja Jai Singh point being this is not something Nehru found out looking at the "West". As far as RSS there are few looney tunes everywhere but I see quite few intellectual like Sanjeev Sanyal trying to stop to some of nonsense and we dont have laws that stop people from questioning accepted beliefs. This just me. Nehruism has been a thorn in the skin for RW sangh parivar. Nehru's idea of secular, scientific temper, autonomous public institutions like EC, SC etc is hated by sangh parivar. But lets not forget BJP lead coalition NDA managed support of less than 1/3 voters. India is Hindu majority nation, Hindus being secular to the core will ensure regressive agenda of RW sangh will be defeated. Sad, but, true. We have become intolerant as people, and have started thinking that only our way of thinking is the right one. Agree. We must mention Maulana Abul Kalam Azad along with PANDIT Jawaharlal Nehru. Both are credited to promote, science and engineering (IITs) right from onset of independence. Lucid and brilliant. The great professor has always highlighted deep-rooted and consequential issue which matters most to humanity. How unfortunate and callous it is to squander our scarce resources and attenuated energies to engender antipathy and abhorrence. Patriotism coupled with religion have unashamedly exploited by scoundrels to grind their own political and economic ax to the detriment of masses. This worldview is convergent and the protagonists are actually comrade in arms. I have say with regret that what is said in this article is true. It's a resilient and complex country Sir, Don't worry maybe there are some drawbacks, but eventually, as the foundation is strong enough, so science and rationality will prevail and yes along with absurdity !! India is undergoing a massive churn in the social, economic and political front. Some of the changes underway are good, some bad. Every Indian leader from Gandhi to Nehru to Indira to Vajpayee to Manmohan and now Modi, has received tons of flak deserved and undeserved, from a very voluble public and Press. The concept of NO GO area has never existed because freedom of speech is a fundamental Right and nothing called National Interest, because it is for people to decide what is National Interest, no one else. No one need teach Indians secularism nor need anyone fear it because India remains the only country in the world where people from five religions have headed its Armed Forces, been Chief Justices of the Supreme Court and religious minorities have been President and PM. It is not talk but the practice of secularism where India stands in a different league. Science will evolve and India will adapt to further its progress. Kudos to you Sir, from India. Actually, no religion should not be given supreme importance in any country of the world. Let religion be a private matter and not a subject of administrative business. Indians - both muslims and hindus, has a long heritage of religious tolerance towards each other. Yes, sometimes unwanted incidents do occur within this country of billion plus population. But that percentage is minimum in terms of percent of population. And Indians do owe to Jawaharlal nehru, in spite of his some shortcomings. Nehru was an intellectual giant and a visionary who, along with all the leaders of his time, laid the foundations of a democratic, secular and forward looking India. ISRO, Atomic Energy Commission, DRDO, Hindustan Aeronautics, Shipyards, Steel Authority Of India with all the steel plants, Heavy Industries, Agriculture research institutes, Dairy products research, Huge Dams like Bhakhra Nangal for clean Hydro Enegy projects. He was, is, and will remain much much ahead than all the leaders combined of today. What ever propaganda mills churn out History will always....and people of India will always give him the right place. well said.. an eye opener on Nehru. Very well written article. I however would like to point out that the masses are generally secular. It will take ages and lot of effort to get things to change and they may never. Science and secularism will always triumph in India. @Dinesh Singh: The sad truth is that the fringe elements are in charge. And the longer they remain the more damage they will cause to India with their cloud cuckoo land ideas. The endemic corruption under Congress caused people to turn to these BJP and RSS. But it’s turning out these lot aren’t any less corrupt! India is in dire need of new bold leaders with spine, not these semi educated bunch of religious fanatics. But, BJP is the most tech savvy and science encouraging party India has seen. Nehru's policies resulted in many blunders including (1) Foregoing UN permanent seat which was eventually grabbed by China. (2) Letting portion of Kashmir under Pakistan's occupation in 1948 (3) Getting bulldozed by China in 1962 war and letting them occupy Tibet and Askai Chin. (4) The divide his policies created among Indian society on religious and caste line. Hoodbhoy's articles are refreshing, amazing research, and always educative, and interesting to read. What just one good farsighted man can do for a country is amazing. 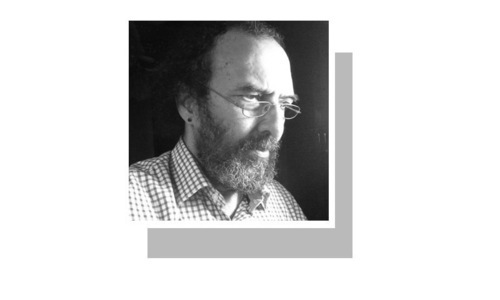 What the sub-continent needs are leaders who can inculcate tolerance. Not science but tolerance towards others is the need, with over 1500 million people in the sub-continent we have to accept our neighbors as they are, how to live in peace. India's Vedic Knowledge is full of science , we don't need Nehru to prove our love for science. India gave many innovations to the world including the modern number system, besides Sanskrit has been acknowledged as the most computer friendly language by NASA. India has a tradition of Science and Debates throughout it's existence. Now I know why Indians are more towards science and technology. This is great to know that someone tell s the glorious history of indo-pak. Nehure was a visionary leader and he knew the survival and progress of the region was hidden in science and technology. I have seen many books written by Hindus in science and technology and some have been prescribed as textbooks in universities. I myself refer to my students for such books. I wish we all could work together in the region. Nehru, being first and long serving Prime Minister of India, gave sufficient encouragement to Science like in any other tools of modern development. The real credit of visioning the Science development in India dates back to pre independence days. It is J N Tata and Maharaja of Mysore in setting up the world renowned Indian Institute of Science. Nehru was a mysterious person wrapped around a enigma. We know he never wanted his daughter in politics. She forced herself onto the desperate congress after the death of lal bahafur shastri was a blot on congress and started the whole mess. 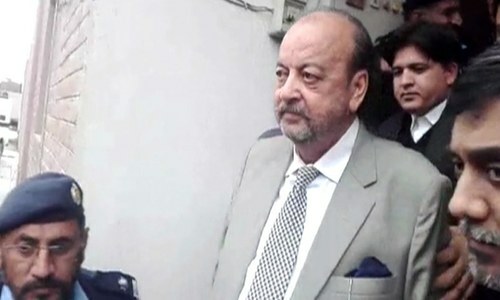 We forget that in the end he was a politician and when sidelined v.b.patel, he was being a politician who felt that he was the best man for the pm post. Everyone in congress had their pro and cons as a leader and he was no different. We remember him unfortunately for his mega blunders and not for his success which were many for leader of a newly independent leader of a new country.The fact that indira gandhi rose to power after shastris death and not nehru is a proof that nehru hardly care about her aspiration for politics and that indira became pm after nehtu and shastris death is not nehrus fault. In the end, he died a lonely leader full of remorse after war.It is easy to blame him for the mistakes commited by indira and her family afterwords. @Facts: Completely agree with your viewpoint. Yes, Nehru was progressive but to attribute science to him is preposterous. Yes IIT came up during his time. But for the 4 decades, these very IIT students are providing the US the technological edge in the world. What have they done for India? Indian Institute of Science in Bangalore, which is the very best in India, was created by Jamshedji Tata and some intervention by none other than Swami Vivekananda. Indian Statistical Institute, again the very best in Asia and world renowned was the brainchild of P C Mahanolobis, the man who propounded the Indian 5-Year Plan. The list goes on and those have nothing to do with Nehru. @Gaurav Your comments are ill-informed. I am no supporter of the Nehru dynasty, as you put it, but the fact is that each of those scion you mention were voted for in free and fair elections by Indians. Also, your suggestion that defence cuts caused India's defeat in the 1962 war with China is wrong. Read the excellent book "India's China War" by Neville Maxwell and you will discover that it was Nehru and his hawkish defence minister K. Menon who engineered the hostilities, smug in the belief that the Indian Army could easily drive the Chinese back. There was no thought about a lack of equipment and supplies. Of course, the sledgehammer Chinese response took New Delhi by surprise and it was only post facto that all the excuses emerged about a lack of suitable clothing for the jawans etc etc. Today, India's defence spending is completely over the top thanks to the BJP/RSS hawks while millions in the country remain trapped in poverty and even the biggest cities lack proper sanitation. Nehru is the Conman who tricked the Kashmiris and promised them the plebiscite which was never intended to be fulfilled. He imprisoned a generation of Kashmiri leaders, and corrupted the Kashmiri people. Today, the Kashmiris have lost everything and are at the mercy of the murderous hordes controlled by the right wing government. Thank you Nehru ji your really were a great visionary. Good article and nice write up. But i beg to differ on some of your views. Its not because of Nehru's, Hinduism and India always had enthusiasm for science. Even before Nehru, C.V.Raman, satyendra nath bose, Homi baba, Prasanta Chandra Mahalanobis, Jagadish Chandra Bose and we can even put vikram sarabhai.....and so on ... was notable scientific figures in their respective science domain like particle physics, mathemetics. unfortunately, we are not able to produce such figures after Nehru except one or two like Dr.Kalam. so I can strongly say, its not because of Nehru, this society always had fascination for science. India was always a scientifically inclined country. In our ancient rituals or practices, there was always scientific reasons. It was never one person, who defined India...or took it one direction or other. Good of Pervez to share his knowledge with us, Dawn readers. Equally informative is the response from the comments from people who have a different view on the subject than the author, a win, win situation. @GOOD POINT That it was Pundit Jawaharlal Nehru who initiated the nuclear program of India under the well known scientist Dr.Homi Bhabha as early as the 1950's is a well known fact around the world. That credit no one can take. Nor the first explosion of the atom bomb by India during the tenure of his daughter Indira Gandhi. The later rulers can merely take the credit of being there, having seen that and also knowing that, but they were not the pioneers neither the thinkers nor achievers. India is secular and worships science because Hindu belief does . Not Nehru . Modi was elected purely as an economic reformer a doer , instead he gave into soft Hindutva just to win elections . Having failed his time is up . There is no Army here nor some Emperor like Xi or Putin . If Modi loses he will have to go . So true. Take for example the true progress that IIT was making during the past 4 decades. Sadly, it is on the decline for changing the image by injecting the religion identity card. @GOOD POINT The hollow pride, falsified glory of past will only take you back in time not help you move forward. Get over that, religious right cannot have not and will not be promoter of science and logic, they are like fire and water. Religion and politics have to be kept separate. Professor, Brilliantly written, thank you for acknowledging Nehru's scientific attitude. Blaming Nehru and Nehru family for everything is not only a pastime of BJP and its ultra right wing supporters but is even like viral disease without any remedy! India will eventually recover from this ... it may time some time. What India owes Jawaharlal Nehru is gratitude for stable democracy, independent judiciary and finally bureaucracy along with army controlled by elected politicians. @Facts Sir with all due respect Hudabhoy is right. Nehru had his faults but he gave India the gift of democracy. The comments clearly depict the author’s point: most of them evincing hatred for Nehru but still boastful of their “scientific temper”. Mr Pervez, I have high regards for you however I disagree with you that India owes Nehru for its progress in science and engineering. It is thousand years old ethos of India which has faith in education(especially in Mathematics) which has given modern India a strong platform to generate one of the best minds. For your record, go to Motilal Nehru National Institute of Technology Allahabad, one of the leading engineering college in India. At the college foyer, one can see a big photo of Mr Nehru cutting a ribbon doing the inauguration of the building. If he had love for science and technology why he allowed college name having his father’s name (who had no idea of science) instead of any leading scientist or engineer. For the worst, when he was near to death, he did everything like doing Yagya and Mrityunjya Japa to avoid death reflecting well how remotely he was connected with science! Salute for well researched response. While I partially agree with Professor Pervez Hoodbhoy, the fact of the matter is that it is only a passing evolutionary phase in both India and Pakistan. Science education will triumph in the end, under the aegis of the United Nations Education and Scientific and Cultural Organization (UNESCO). Rational and scientific thinking will triumph in the end. I am positive. As an Indian, I am sorry to say that the author is absolutely correct, both with respect to the history and the present. I hope the pendulum swings back towards a secular democracy. India had Science Nobel laureate like C V Raman, great minds like Ramanujan few decades before Nehru became PM, and also had some very well established science institutions like COEP Pune, Engineering College of Madras and Roorkee (Now IIT) a millennium before Nehru. I am an ardent fan of Dr Hoodbhoy's writings, but I respectfully disagree him owing this credit to Nehru. @Imtiaz Ali Khan : People like you amaze me and give me hope in Indo-pak relations. @Facts Modi's reference on plastic surgery was not Charaka or Susrutha, but lord Ganesha. That's why he is mocked. In a similar context, Nehru would have given a fine lecture about ancient India's great achievements, siting proper references, with due credits to Charaka & Susrutha. That's the difference between him and Modi. Its not because of a leader but the population's desire to get educated and progress. No leader can make such a big influence. Its deeper rooted than giving credit to any leader or lack of. Here is where wisdom is required , a leader with narrow vision will lead the nation to a bigger disasters, we bring in religion to cover our total failures on all fronts .Free thinking and good education is the only solution in present circumstances we can only pray for it. Indian science has been in advance stages for thousands of years. To say that Nehru was behind indian mindset of science is a understatement. Great article by Dr. Hoodboy. As the India is on the way that we Pakistanis followed, there is greater need to spread the message of tolerance and reason in Pakistan. We must change ourselves for the betterment of not just Pak but for the whole South Asia. The are many people across the vast country who played a role in promoting science and scientific temper - irrespective of who was in power, British or different governments of independent India in various states. The role of the Dravidian (athiestic) movement in south India (any wonder why most engineering / medical institutes are in the southern states far away fro Nehru's world) did more than capture political power there. The role of Communist organisations (eg. Kerala) in spreading scientific temper, many spirited idealistic groups such as those in 'Hoshangabad Science Project' in Madhay Pradesh ... With or without Nehru, much of what was achieved would have happend. But Nehru did hasten some processes - and he also slowed down some others due to whatever reasons. Very well said sir, been a great fan of Mr. hoodboy not only because he is a great historian and a orator but my son is also a graduate in physics, so i connect with him there too.I sincerely hope we will get over this RSS bump and will be back to our roots.Modi's popularity has taken big hit, even if he comes back next year his support and strength in parliament will erode considerably.He will not be able to carry on his communal politics. The greatest gift of ancient India was Hindu Numeral system. The Arabs learned it and passed it to the Europeans. The mathematics that India produced was profoundly influenced by our Dharma. The concept of zero was introduced about 700 years after Buddha introduced the concept of Sunyata (nothingness or no-soul). Religion and spirituality is the mother of science and Dharma in particular is a leader in inspiring mathematics in ancient India. Only the most spiritual people ask these difficult questions. It has been this way with Christians in Europe and it has been this way with Dharma in India. I wish there was on Nehru in Pakistan. India is only doing what Pakistan did in the past and paid heavy price for it. Let them experiment and then may be some day they will realise their folly of twisting facts. BTW, I always love your column. You are a beacon of light. Nehru was educated in England and had broad liberal view of world politics. How ever with all historic achievements he made three critical mistakes. 1 He should have sat down with Hari Sing, Pakistan and include Patel in resolving Kashmir problem instead of unilaterally running to UN 2 Should have accepted the offer for India to join UN Security council with veto power instead of listening to Krishna Menon to rely on Panchashhel. This lead to weakening the defense capacity of India and loss in Indo China war 3 He remained silent when China ran over Tibet. How ever from me he gets an A for his stamp on India's education, judicial system guidelines. Lest we forget he gave blank checks to people like Bhaba, Sarabhai, KPS Menon and many others to put India on the world science map. Also IITs and many other world class institutions owe it to him. Not withstanding his human failings people like Nehru are born once in a millennium. India is lucky a broad minded man like him was our first PM. Modi is not a right wing politician. Like Ho Chi Min he is a nationalist who cares for well being of India and Pakistan and has excluded old cronies like Advani from his ruling team. I quite agree with Dr Hoodbhoy. A big chunk of the current generation of young Indians is not drawn to science, engineering or medicine, but to IT. , They all want to go to the U.S. even when, unlike in the 1970's and 80s, there are opportunities within India, Even in computer science, very few people ant to go for PhD. A crisis is developing in India, when there would not be good quality professors. It's already underway. Revisionist history in text books in India has not gone as far as it has in Pakistan. Banishing Nehru's "Tryst with destiny" speech is apolitical game to erode Nehru's image. In itself, it does not cause as much harm as suppressing Jinnah's views on secularism. The Indian left is still alive and fighting this revisionist history. I am amazed at some educated but brainwashed Indians. It is still in early stages (where Pakistan was in the 1970s) whereas it has already been completed in Pakistan decades ago. Indians will destroy India from within. Again brilliant article from Hoodbhoy, accurate and to the point, Modi India is going where Zia-ul-Haq Pakistan went 40 year ago. They will see the effect of this move after 40-50 years, and at that time it will be too late. Good observation , well written . I appreciate your positive article and its relevance to your country. However I would like to point out other factors for India's scientific temper. India's ancient scientists were Baudhayan, Aryabhatta, Brahmgupta, Bhaskaracharya, Kanad, Varahamihira, Nagarjuna, Susruta, Charak, Patanjali etc, whose contributions are well documented. In modern times before partition Ramanujam, CV Raman, JC Bose, Satyen Bose, Vikram Sarabhai,Dr Homi Bhabha, Ashoke Sen and many more. They were our icons when we were growing up. How can we forget our President Abdul Kalam who is still inspiring countless of children to take science. The icons of a nation are very important in influencing young minds. Pakistan has had many great scientist just their stories haven't been told to the children. Nehru was a true liberal leader and a visionary. Probably the most popular democratic socialist politician of the 20th century who set the foundation for modern India. Had we all stuck together we'd be well ahead of China and nudging USA in terms of economic growth, self reliance and general prosperity all around. Nehru passed away in 1964, his progeny had enough time to reverse his disastrous economic policies. The anger against nehru stems from the loot and corruption that became a byword under the gandhis rule. Nehru was a nationalist and good human being. His hands were tied by RSS moles like Vallabh Patel in Comgress. Nehru's great grandson, Rahul Gandhi, in a recent speech in Gujarat, promised the farmers that they would be growing potatos on the moon if he is voted in as the primeminister. Bharathvarsh is too big of a country to be influenced by one ideology. . Astronomy and Astrology co-existed here even before the grandfathers of Nehruvian ideologies were born , and they still co-exist . Our countries best Research Institute , IISC was founded by Jamsetji Tata as envisioned by Swami Vivekananda . The authors claim that "India would have become a garbage dump for every kind of crackpot science" if Hindutva had taken over after independence, can be debated as we did have a medical system and astronomical studies in place before the invasions. Thank You, Prof. Hoodbhoy for showing the GREAT SON of India, Jawahar Lal Nehru, in TRUE colors. India would have broken up in to pieces if it were not for Nehru and his unshakable faith in Democracy and fair justice for all Indians irrepective of cast , religion or creed. Narendra Modi, as much as I like him in very many aspects, will NEVER come up Nehru's ankles. Nehru was not only an Indian giant; he was a world giant. He was the one who inititated the non-alignment movement where countries got the direction and courage to refuse to belong to American or Soviet camp. Only a dogmatic person would split hairs to find differences between Nehru and Modi. The bottom line is that they are both nationalists and nationalists only. The line between Indian nationalism and Hindu nationalism is intrinsically very blurry. Neither understood science and both understood the value of science. This is a brilliant analysis by a man known for his Scientific achievements and fair mindedness. As an Indian who studied at an IIT( a Nehru creation), I sit abroad and sya exactly everything Mr. Hoodbhoy has said. However, unlike him, I have faith in the Institutions created by Nehru and the deep-rooted secular democracy,much vilified by the Hindutva brigade to restore India to the ole days. This BJP Government will be thrown out and never allowed to return for the manner in which revsionists have systematically tried to undo everything Nehruvian. If India is respcetd around the world it is for the Gandhian/Nehruvian India and not this brad of Hindutva India. Nehruji did one of the best thing in India, he established Indian Institute of Technology (IIT). The remarkable institute to attract the best brains of India. IIT created an image of India which churned the best engineers, scientists and business people who have significant presence among Harvard, Stanford, NASA and many US big companies. IITians are in Mumbai ch demand in prime US institutions than any other country. Panditji was a visionary. In 1947, India was one of the poorest nations in the world. Pandit Nehru laid the foundation of modern India and is truly the architect of modern India. He was a natural sciences graduate from Cambridge apart from being a Barrister. Under his leadership, India established some of the finest science and technology institutes. He appointed Maulana Abul Kalam Azad as India's first minister for education and under the leadership of a madrassa educated eminent Maulana and stewardship of Pandit Nehru, India laid the foundation stones for some of the finest edifices of science and technology namely Indian Institute of Technology (IITs), CSIR, UGC, development of IISC, BARC to name a few. He had a reputation for spotting talent and empowering them - be it PC Mohalanobis, Homi Bhabha or Meghnad Saha .... the list is endless ! It is a sad thing that the current political dispensation cutting across the party lines lack the vision and stature of Pandit Nehru. Atal Bihari Vaypaye is perhaps the last Nehruvian alive today ! Nehru gave India stable institutions and he allowed the roots to develop deep without any interference. Without Nehruvian policies, India would have fragmented into multiple smaller countries. The far right Hindu activists are not knowledgable in history, nor in mass psychology and nor in nation building. The far right Hindu minds want to skip over the 13th to 18th century - 500 years of subcontinent history and jump to the pre 12 century AD and the vedic era. In the same vein the far right in Pakistan and many Muslims in India want to focus only only the 13th to 18th century and forget everything before and after. Hindu and Muslims of subcontinent have shared ancestry, history and shared future. We all have to embrace this reality. @GOOD POINT I'm an Indian under 30 who has worked across India, the Middle East, Asia-Pacific, Americas, and Europe. I count 3 Fortune 30 under 30s as my peers, know two $ billionaire families and startup founders who have raised more than $100 million. I am a Kashmiri Pandit who grew up across five Indian cities and has learned in detail the 4000+ years of the Indian history (critical to understanding the survival of my community). I am an engineer who has read every major religious book including the vedas, and have followed politics right from when Atal Bihari Vajpayee was trying to cobble up coalitions in 1996-97. These combined experiences indicate to me that your need to show 'pride' in history and 'labeling' people leftist usually stems from a deep rooted lack of confidence about your own individual place in the world. Kudos Pervez Hudboy! I for one will work to make sure we don't damage the preeminence of scientific and secular temperament Nehru imbibed in our culture. English translations are available. I am not even going to start on the depth of philosophical treatise.... nothing anywhere has any parallel, and all this has very little to do with the religious aspects of Hinduism. Issue is with people trying to combine the two. and your article somehow has fallen prey to that narrative. 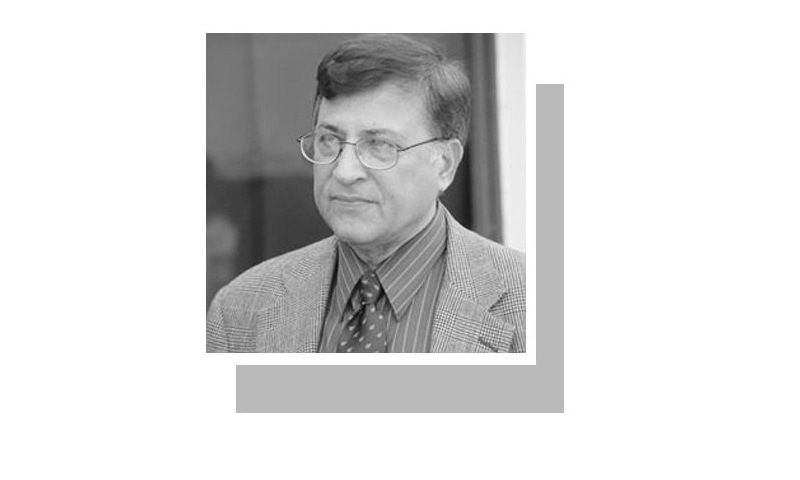 Prof Parvez Hoodbhoy, apart from being particle physicist of some distinction, has deep understanding of many social issues and most educated people value his opinion. However, the hypothesis that one individual is solely responsible for Indian science scene is not borne out by history. Indian, or rather the entire subcontinent's, love for science predates Nehru by many thousands of years as illustrated by likes Arayabhatta, Brahmagupta, Madhva (who discovered calculus many hundreds of years before Newton and Leibniz) more recently luminaries like Ramanujan, Bose (Bose-Einstein fame), Bose (who discovered radio signaling before Marconi), Raman, Chandrashekhar, Saha etc are all before Nehru came on the scene. Nehru was right in promoting science and technology and full marks to him. Where he went horribly wrong was his belief in Socialism which promoted public sector at the cost of private initiative. Many of his public sector plants are gathering dust. The country really started moving forward when in the Nineties Narasimha Rao freed the economy by scrapping all the nonsense of “licence raj”. Later under Vajpayee of BJP Indian economy really started achieving its potential. The country lost four decades because of Nehru’s Socialism. It could be disbanded only when the Nehru dynasty finally lost power. I would to draw everyone's attention to Gujarat, which is one of the most developed state of India. Modi was chief minister of this state for more than a decade and BJP has ruled this state for more than two decades continuously. Sir this article may not interest to Indians.India want to make one civil code for all which muslim may not like and declare India as Hindu state like Pakistan did Islamic state.India might change also something in secularism but overall policies will remain same.No doubt Nehru was great leader India ever had and its respect is still intact.India want to be very friendly with our Pakistani brothers and it will not change.BJP government is nice to everyone and want to root out corruption in daily life although it is hard to do in 4 years of rule. India is now exploring own culture, history and science which was kept under carpet by Congress. One nation was created on the basis of science and technology, the sibling was created on the foundation of theology. One can clearly see the difference 70 years on. A well written piece. We should not however forget the contribution of the ' House Of Tatas' . The Indian Institute Of Science, Tata Institute Of Fundamental Research, and the Tata Memorial Cancer Hospitals are a living testimony to their munifiscience. I wonder if Parvez really know the ancient Indian (Hindu) contribution to many aspects of science? Hindu leaders value science and have always favored. Which one of the Hindu leaders was against it. Had Patel or Bose been the PMs instead the push for science and technology would have been far greater. However you are welcome to kid the Congress! You are 100% right , Sir. I believe India will remain Nwill notehruvian. Indians have seen the benefits of science and technology. They will stick to their pursuit of science. @Sampath Yes he made mistakes . Everybody makes mistakes. That does not cancel the good things he did. Modi is no less visionary. He sensed the strategic importance of IT, digitization, tele communication, space programms etc in the present era hence started the program according. He also started make in India, so that technology comes to India, instead of focusing on import only.. What nehru did is a sweet history, while modi is responding to future. The struggle for independence of sub continent is due to great work by Nehru and Jinnah and it should be hailed by both countries. Science and math were never ignored in India. Long before Nehru, there was culture of learning. Importance given to the advancement of knowledge. In fact Hinduism is everything about scientific inquiry and not about cow urine or dung. Cow dung is perhaps the nearest source of energy for a farmer. Freedom of thought is necessary to advance scientific thinking. And that freedom of thought is not curtailed in Hinduism. Hindutva is bound to increase scientific advancement and not the other way around. As an Indian I am of the view that no one can match Pt. Jawaharlal Nehru, the first Prime Minister of India for his scientific views in building new India. Indians are matured enough and can not tolerate the vicious attacks on Pt. Nehru. What India is in the field of science and technology, it is due to him. It is our habit to denounce any one how much taller he may be. I remember that in English Text books 1974-78 of Class 10-12 of UPBoard, there were speeches of Nehru and Shastri. Apart from that Gandhi's philosophy was integral part of teaching in Indian Education system. Hindustan Aeronautical Ltd was established much before the Indian company producing Cycles came. The speeches of Nehru and Shastri ji were in fact pieces of collections of English Languages. @Gaurav You forgot to mention Takshila, which is in present day Pakistan. Science and education was there in India and Indians from time immemorable. Well Nehru was the first PM contributed to the modern science by setting up IIT's. However we was not farsighted when it comes to so many other aspects like Population. You should read a letter by Great JRD Tata to Nehru to understand how farsighted(or short sighted Nehru was). Also Indian education totally ignored ancient achievements by Indians and totally depended on Western View of science. We never read about lots of things we hear now about Indian Science. Nehru was puppet of communists and converted our education system into Karl Max's "Das Capital". @Hani_Layyah People and Nations who do not know what is "secularism", should not talk about it. @Shan: IT, Digitisations, Medical Sciences, Space Research etc were all encouraged and developed before Modi came to power. Please don’t give him false credit for things he had no part in. He is full of ideas but is hindered by his regressive beliefs and toxic association with the RSS and their Hindutwa agenda. Dr. Hoodabhoy, you are one of great Pakistanis, I love and greatly respect you. But Modi is some one else. Don’t forget his great progress. He made a name for India in the world. You see progress every where. He further advanced the space adventure initiated by Nehru’s party. Had it remained in Congress hand, still India would not have progress in favor of massive corruption by Nehru’s dynasty. Nehru was OK in education, but a great fool because of his love for Karl Marks and China type Communism. That same China beat him up in 1962. Modi is the best PM India ever had. cursed is the nation that needs hero ......Nehru was a political leader ....It is the people that gives births to leader and not the other way around...leaders can not give shape to the ideas that are not acceptable to people. As usual a very good article by pervezji. Regards srinivas. Telangana. Knowledge and education is an integral part of Indian genetics from ancient times. Nehru himself was a beneficiary of this heritage. However,as a leader was a small man in terms of vision and will.India would have had reached great heights if Patel became PM ,then. We are still paying for the major follies of Nehru. He refused the UNSC seat and offered it to China. He went to UN on the Kashmir matter without consulting the cabinet. He promoted the dynasty politics by installing Indira Gandhi in important posts. Nepal wanted to join the Indian Union and he refused it! Text books are written by subject matter experts and should be read becuase of the content and not becuase religeon of the writter! Off course if you want to read about religeon than it’s different thing! Normally science and religeon may not agree on many things! My standing ovation to Mr Pervez Hoodbhoy and The Dawn for this piece. You ignored the likes of Aryabhatta and Ramanujan in the articles.Ancient Indian civilization talked about planets and solar system when rest of the world believed that the earth is flat. Nehru was a leftist and had tried his instil a sense of inferiority complex among Indians(Hindus) but the new generation is not very keen to take it..... An example for your consideration... The Army of Alexander fought through many a great kingdom but the only kingdom that it refused to attack was India, then ruled by Nand ruler of Magadha. Magadha then had an Army of Eighty thousand horsemen, two hundred thousand footmen, eight thousand chariots, and six thousand war elephant. Despite great persuasion by Alexander, the greek army refused to cross the Ganges. The leftist inspired curriculum never taught these kind of topics. Please understand that the leftist rule of Indian education is over and will never return. Beautifully written. I support BJP most of the times, but their concept of hindutwa scares me for it is an insult to rhe open minded Hindu philosophy (e.g., that of swami vivekanand). Coming to Nehru he may have made a fww mistakes (huge ones too), afterall he was human, but his contribution india's scientific education was priceless. While he appeased minorities, misjudged china and shackled industries, false propaganda against his origins and many other things is deplorable. My 80 year old cousin who is settled in usa and holds number of patents told me how nehru stood up against gandhian notion of education and made education science oriented. We Indians owe nehru big time for his scientific outlook. Two bad things happened to world at almost same time ..Trump to America and Modi to india ..direct 10 years behind we are . Do scientists engage in social commentary, history and politics in India? I think for a better tomorrow our scientists should focus on research and development. @Irongloves You've got this fact wrong. Defense budget as a percentage of GDP continues to remain the same. The increase in budget is due to increase in GDP. @Prakash Chandra That is a fringe, and recognised as such. To conflate their views on the general discourse would be to caricature a very large group of people. Sir I admire you as a Scientist and an intellectual. But before writing this article you should know about RSS ideologies and their work. I am not at all agreed with this article. Prime minister Nehru was truly a good leader but RSS and their leaders are also equally educated and true Nationalist. wow. what a column. full of mind blowing facts. Nehru no doubt moved India towards scientific development and continued the British system of education. However, when an Indian loathes Nehru, the reason is him agreeing for the creation of Pakistan, and todays problems in Kashmir. Indians have been good at science even before Nehru. People like Bose and Khurana won Nobel prize for Physics, before Nehru's time. "Vedic mathematics. '- Watch there are you tube TED talk videos where there are videos on short cut methods for calculation of large numbers.that is part of vedic mathematics.But Indian leftist and 60 yrs of Nehruvian socialist discourage those learning.I respect your opinion but you have to think about on these aspect also. RSS is a temporary phenomenon in India. It's good for India that it has seen the fascist governance model of RSS/BJP so clearly in Modi's period and it's rising against it very quickly. People voted him for his development model but now people seen his hidden agenda. I am hopeful that next year there will be an end of the term of this government and India will start healing itself again. As far as Nehru is concerned. There is still nobody like him in last 100 years in the South-Asian subcontinent. He was a true liberal and did everything in this power to give a moderate and scientific start to India. Indian youth, English speaking tech savvies generation, supports Modi. Modi will be the PM in 2019.